Telangana chief minister and TRS supremo KCR had also met Trinamool Congress supremo Mamata Banerjee to forge a federal front of regional parties. 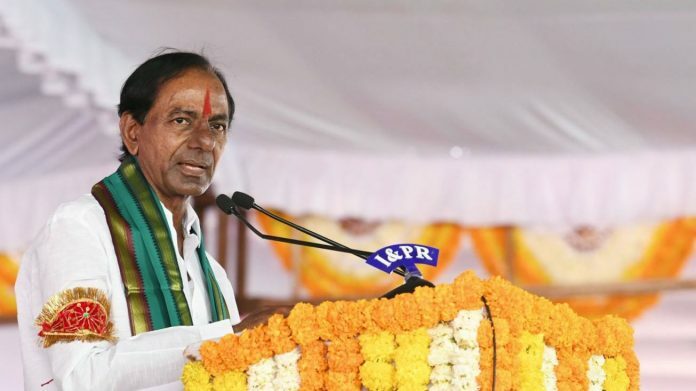 Hyderabad: Continuing his efforts to forge a non-BJP, non-Congress front ahead of the coming Lok sabha polls, Telangana Rashtra Samithi (TRS) Chief K Chandrasekhar Rao has decided to hold talks with YSR Congress to try and rope it into the proposed coalition. Rao deputed the party’s working president and his son K T Rama Rao and other senior leaders to hold parleys with the leader of the opposition in Andhra Pradesh, Y S Jaganmohan Reddy Wednesday, a release from the ruling TRS said. “TRS president and the Chief Minister decided to hold talks with YSR Congress party on the issue of joining hands for the federal front. “TRS party’s working president K T Rama Rao, senior leader and MP Vinod Kumar and general secretaries Palla Rajeshwar Reddy and Sravan Kumar Reddy were asked to hold discussions with Jaganmohan Reddy. Accordingly K T Rama Rao and his team will hold talks with Jagan tomorrow (January 16),” it said Tuesday. Rao had also met Odisha Chief Minister and Biju Janata Dal (BJP) chief Naveen Patnaik, seeking to drum up support for the federal front. The TRS returned to power in the December 7, 2018 assembly elections, winning 88 seats in the 119-member Telangana Assembly, pushing the Congress to a distant second position with 19 seats. Previous articleBrexit: What are Theresa May’s options for a ‘plan B’?